<English text below> Kennt ihr Birds of Nature schon? Nein? Dann wird es aber Zeit! Ich habe es schon einmal bei mir auf Instagram vorgestellt aber das ehemals quadratische Format kann etwas limitierend sein und die neue Frühjahrs/Sommerkollektion ist wieder soooo schön geworden. Aber zurück zu dem, was dahintersteht. Birds of Nature wurde von zwei holländischen Freundinnen 2016 gegründet. Mijke lebt in Holland und Ilse in Deutschland. Beide kennen die Modebranche sehr gut aber haben sich durch den eigenen Nachwuchs entschlossen selbst Lauflernschuhe zu gestalten. Es gibt viele schöne Babymoccs da draussen aber ihr Stil sticht heraus. Zum einen ist die Naht nicht innen, sondern aussen. 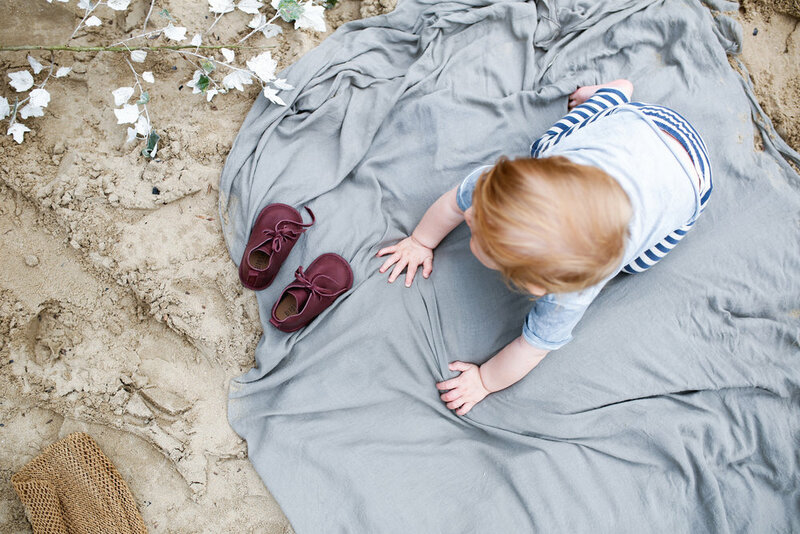 Dadurch können nackte Babyfüsschen keine wunden Stellen bekommen und es erinnert optisch an den berühmten Desert Boot für Erwachsene. Zum anderen kann man sie durch Schnürsenkel variabel auf den Fuss des Kindes einstellen. Das hat dann noch den Vorteil, dass man den Boot um ein kleines Lederbärtchen-Accessoire erweitern kann. Ach, das macht mich ganz verliebt. Alles wird fair von Hand in Portugal hergestellt. Die Farben sind bunt aber bleiben in der Pastellpalette. So gibt es von dunklem Aubergine über Camel bis hin zu Pfirsich und cremiges Lachs einiges an Farbauswahl. Die neue Kollektion für die wärmere Jahreszeit erweitert das Sortiment um Sandalen, die feste Sohlen haben. Die Schuhe eigenen sich für Kinder bis zwei Jahre. Und wie immer stelle ich mir die Frage warum es diese nicht auch für die Mamas gibt? Na zum Glück gibt es da die ein oder andere Clutch aus dem butterweichem Leder in den Farben der Boots. Hurra! Ich sehe die Boots in perfekter Kombination mit der neuen Monkind SS 17 Kollektion. Falls ihr sie noch nicht gesehen habt - ich habe HIER einen Artikel dazu mit vielen Bildern aus dem Lookbook. Schaut mal vorbei. Do you already know Birds of Nature? No? Then it's about time! I have already presented the cute booties on Instagram but the formerly square format can be somewhat limiting and the new spring / summer collection has become soooo beautiful again. But back to what is behind it. Birds of Nature was founded by two Dutch friends in 2016. Mijke lives in Holland and Ilse in Germany. Both know the fashion industry very well but becoming mothers themselves they decided to design baby- and kids shoes themselves. 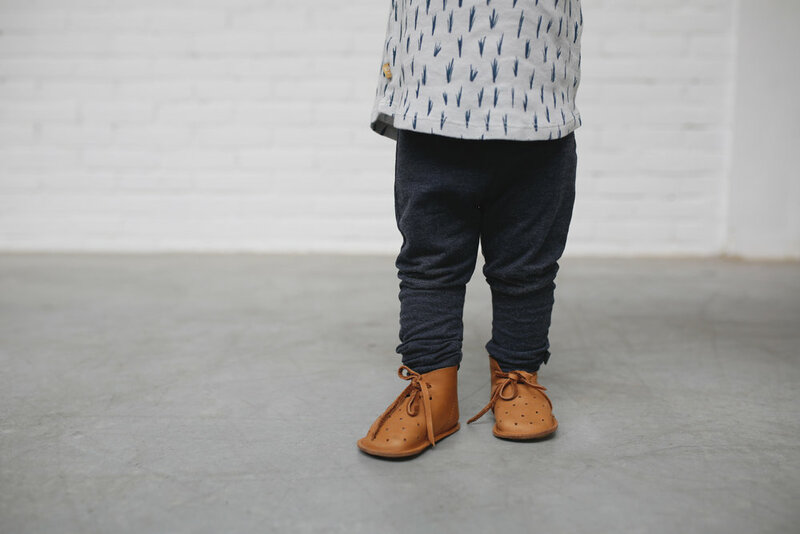 There are lots of nice babymoccs out there but their style stands out. On the one hand, the seam is not inside, but outside. This allows naked baby feet to get no sores and it looks like the famous desert boot for adults. On the other hand, they can be adjusted individually to the child's foot needs by shoelaces. This also has the advantage that you can extend the boot by a small leather-beard accessory. Oh, that makes me fall in love again. Everything is produced fair and by hand in Portugal. The designs are colorful but remain in the pastel palette. There is some color selection from dark aubergine to camel to peach and creamy salmon. The new collection for the warmer seasons expands the assortment with sandals that have solid soles. 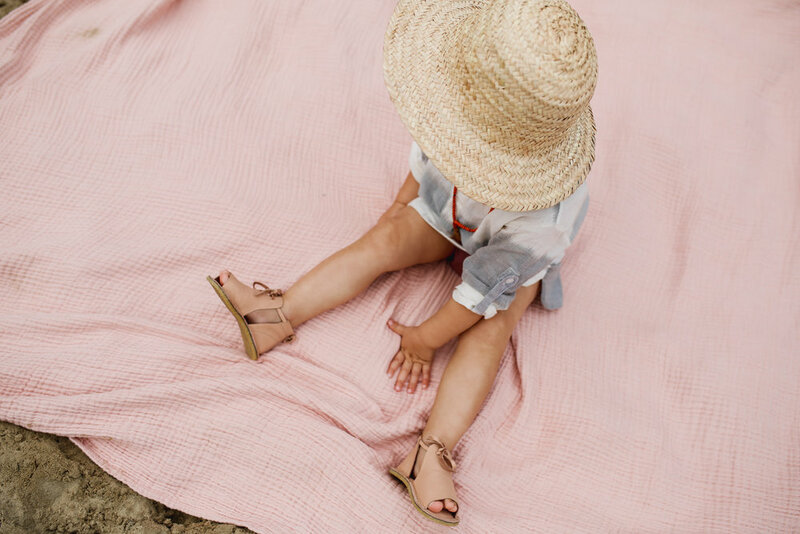 The shoes are suitable for children up to two years. And as always I ask myself why it is not for the Mamas as well? Fortunately, clutches from butter-soft leather in the colors of the boots are available. Hooray! I see the boots in perfect combination with the new Monkind SS 17 collection. If you have not seen it yet - I wrote an article with many pictures from the lookbook HERE. Have a look.